A traditional gazebo is a freestanding outdoor structure that can be placed anywhere in your backyard. These small buildings are usually open air, to give a view of the surroundings. However, LYSAGHT LIVING® can also develop a Gazebo End, a customised design attached to another outdoor structure. An open walled outdoor gazebo tops the most-wanted list in design, however, this might not be the best choice for every individual. For rainy days or a chilly evening, a gazebo with sides could be the better choice if you wish to use your gazebo year-round. To develop a solutions-driven custom design, tailored to your specific needs and design brief, please consult your local LYSAGHT LIVING® dealer. 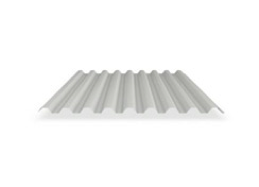 With its classic corrugated profile, the CUSTOM ORB® is Aussie roofing at its best. This versatile cladding is lightweight and strong and will suit both modern and traditional styling. 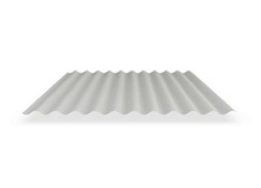 It’s a perfect match for a corrugated heritage-style roof. Perfect for creating a flat ceiling-like finish with uninterrupted lines and an attractive gloss finish. 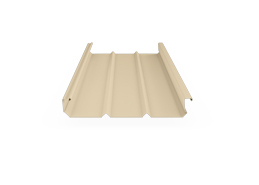 This modern roof cladding is ideal for open-sided carports and patios. With a greater cover width than FLATDEK®, FLATDEK® II is perfect for creating a flat ceiling-like finish with uninterrupted lines and an attractive gloss finish. 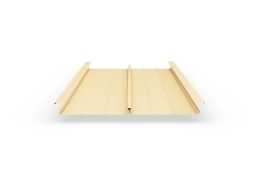 This modern roof cladding is ideal for open-sided carports and patios. 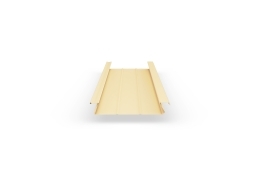 FLATDEK 310® is known for its flat ceiling-like finish and attractive gloss finish that’s perfect for open-sided carports and patios. Providing both strength and a high water-carrying capacity, this squared- corrugated roofing cladding is ideal for an outdoor addition that needs to be highly impact resistant. It combines modern styling with functionality and is suitable for many applications. EXPERTISE AT EVERY STAGE: Our team of experienced dealers use the latest computer software to custom design a solution to meet your requirements, and we’ll help smooth the path for council approvals with required plans and documents, too. THE WORLD OF COLOUR: The wide array of COLORBOND® steel colours allows you to match to your existing decor, such as roofing, guttering and downpipes. STRONG FOUNDATIONS: Help protect your home from the elements with Australian-made COLORBOND® steel. More than just painted steel, COLORBOND® steel is manufactured to exact Australian Standards, which means that beams, cladding and gutters* are tested in some of Australia’s harshest conditions. THE FLAWLESS FINISH: Advanced COLORBOND® steel paint technology provides a durable finish that will resist peeling, chipping and cracking and ensure that your LYSAGHT LIVING™ home addition will look better for longer. PRECISION ENGINEERING: You can be confident that every part of your LYSAGHT LIVING™ outdoor addition is rigorously engineered and tested for structural integrity. For your peace of mind, we back this up with a 20-year structural performance warranty. *Beams, cladding and gutters are made from COLORBOND® steel; posts and accessory items are manufactured from other materials.